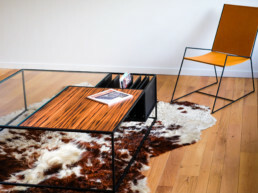 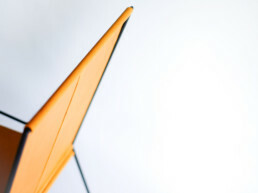 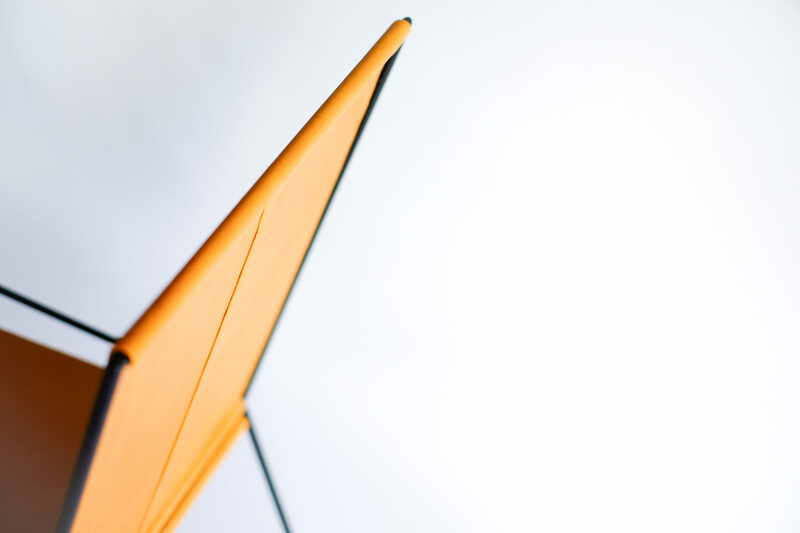 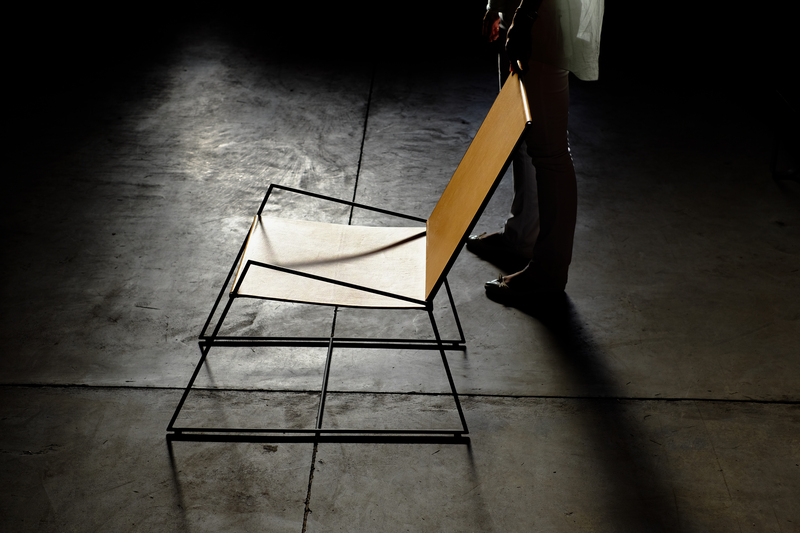 CHR15 has been designed with a minimalistic idea in mind. 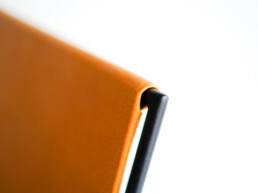 The aim is to give the user the maximum of comfort with a minimum use of materials: inox and leather. 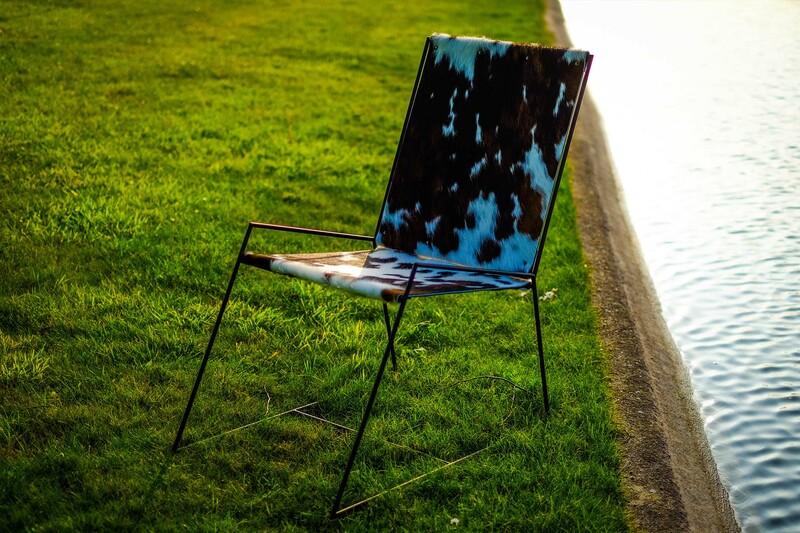 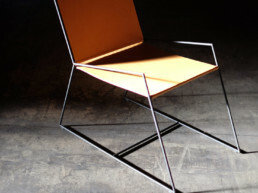 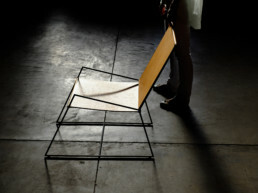 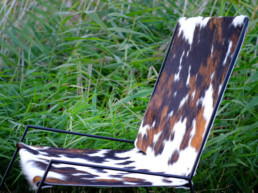 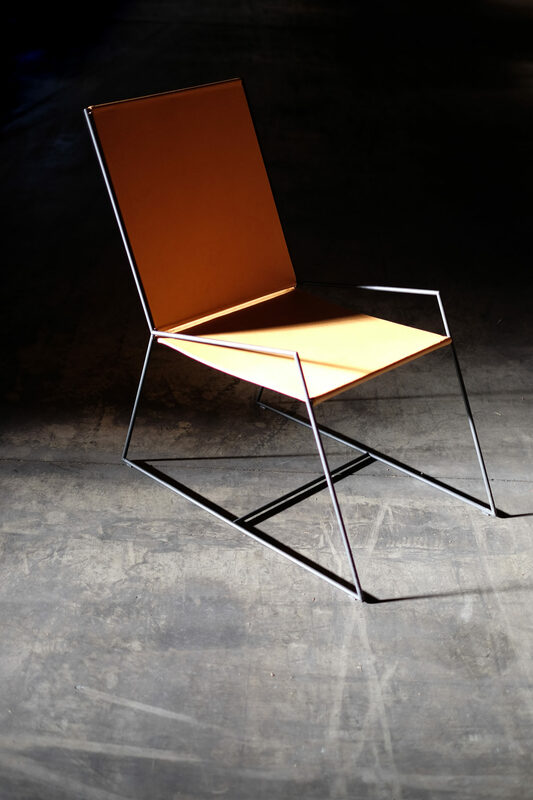 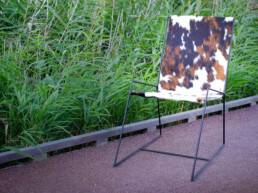 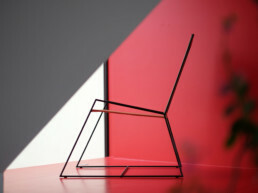 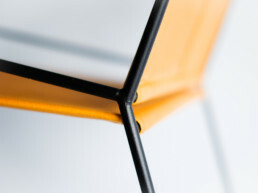 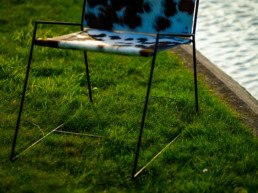 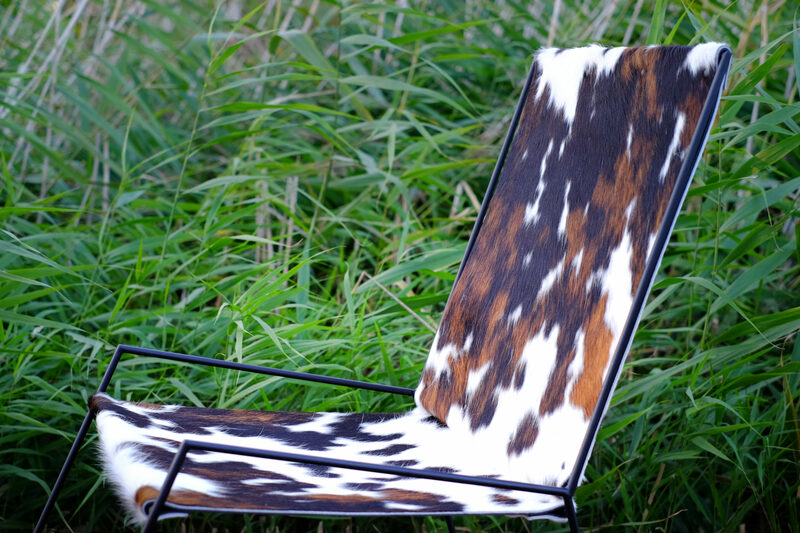 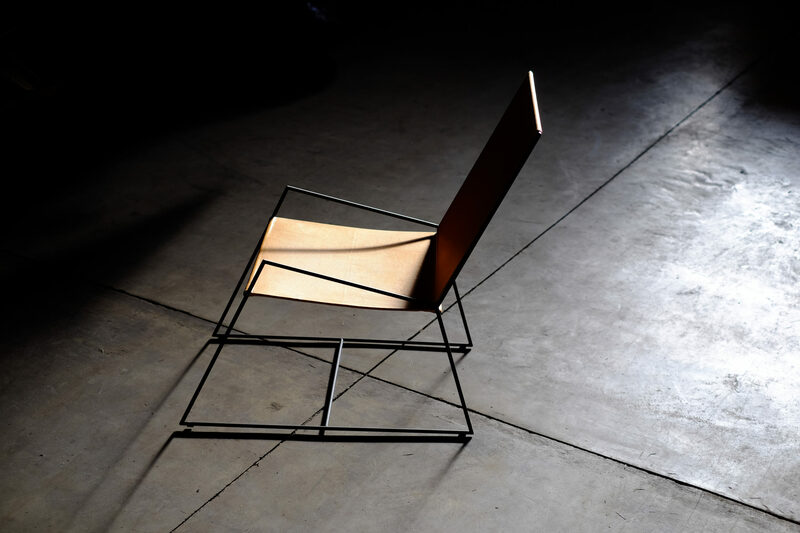 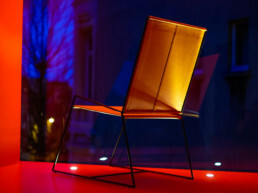 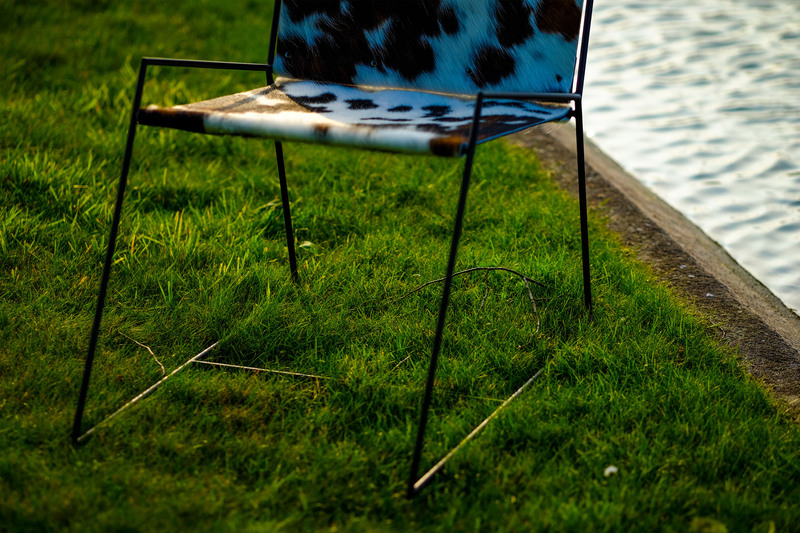 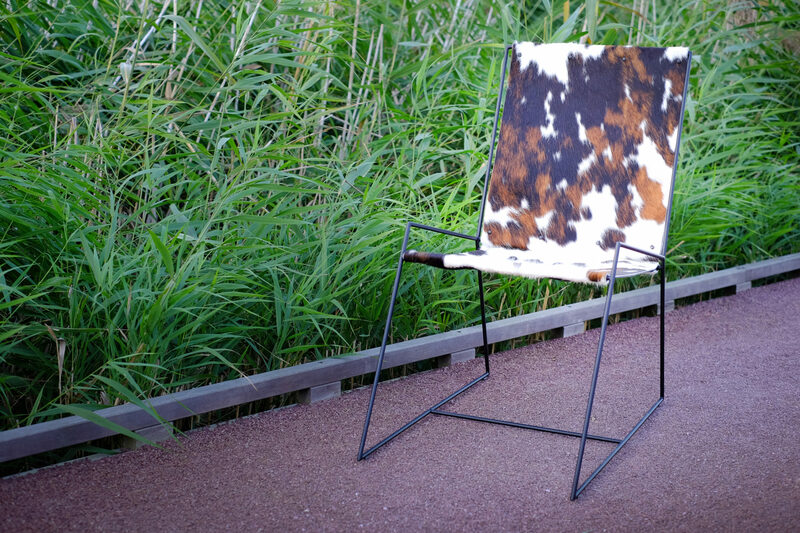 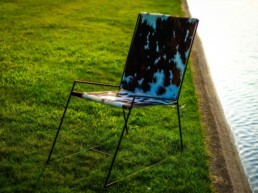 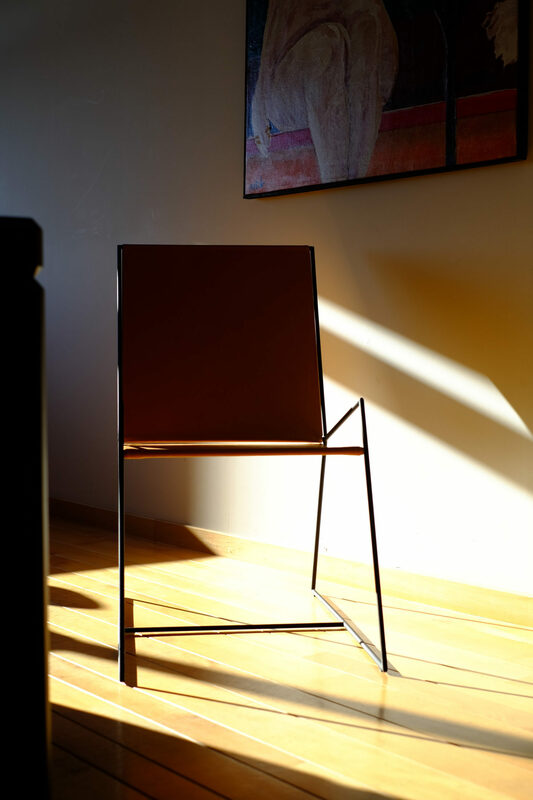 For the inox frame, which measures only 10 mm diameter, parallel lines connect basis and back of the chair. 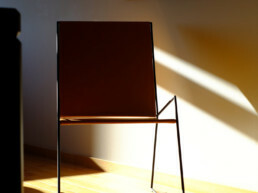 Thanks to those lines, the chair invites to settle down in serenity. 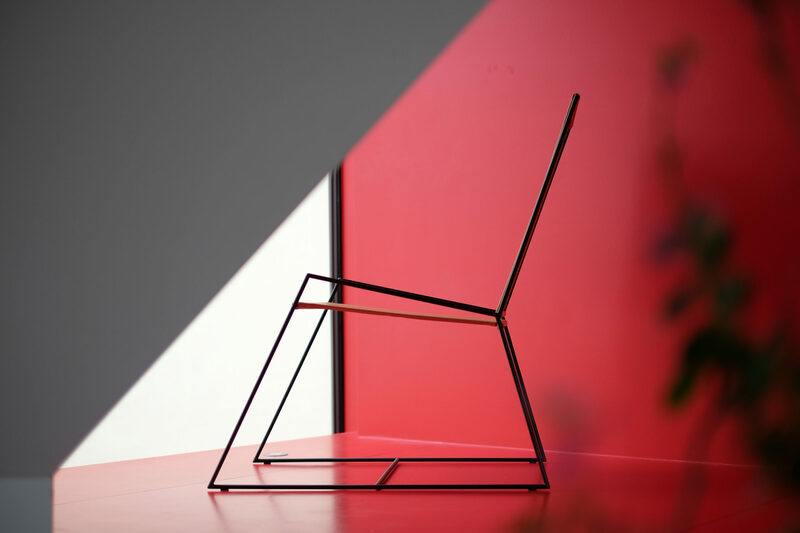 The frame also forms the armrest in only one line. 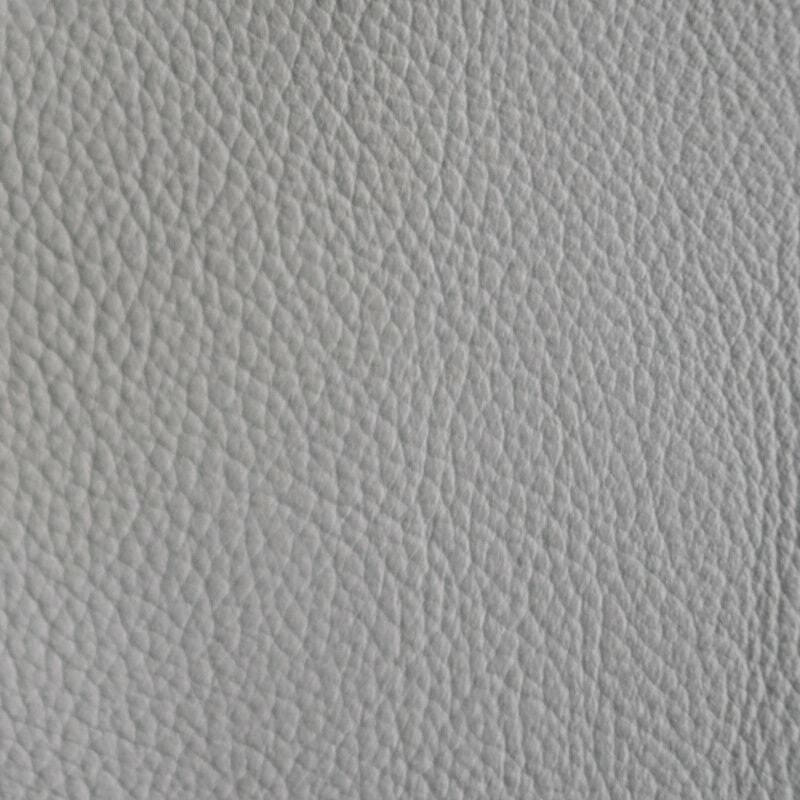 Seat and back consist of a double layer of 1,8mm leather. 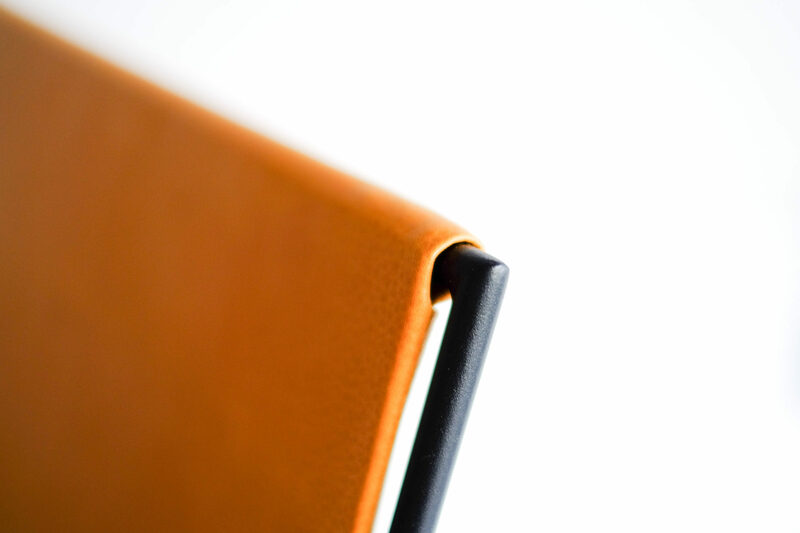 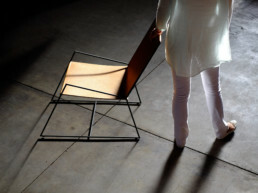 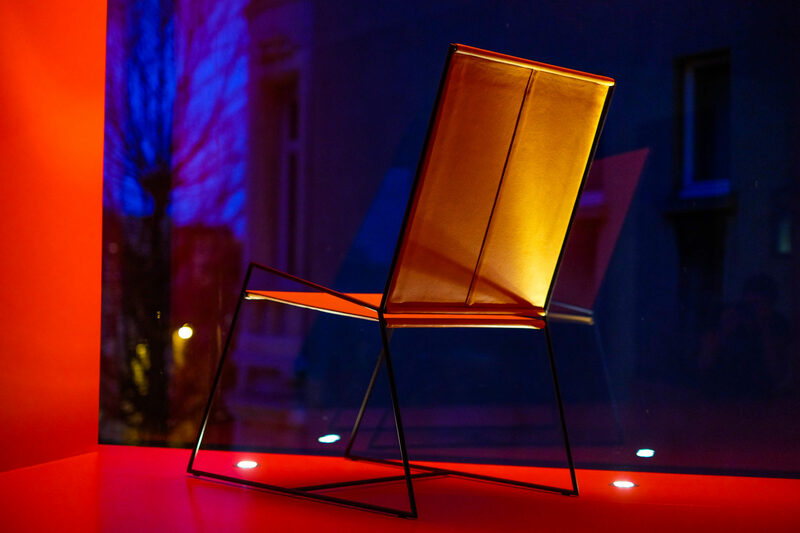 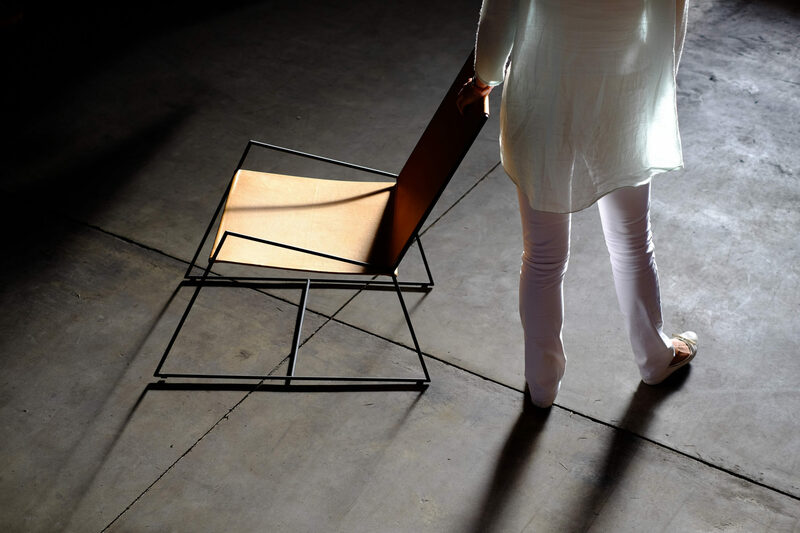 Between the two layers, we provided a flexible metal plate for the reinforcement and stability of the chair. 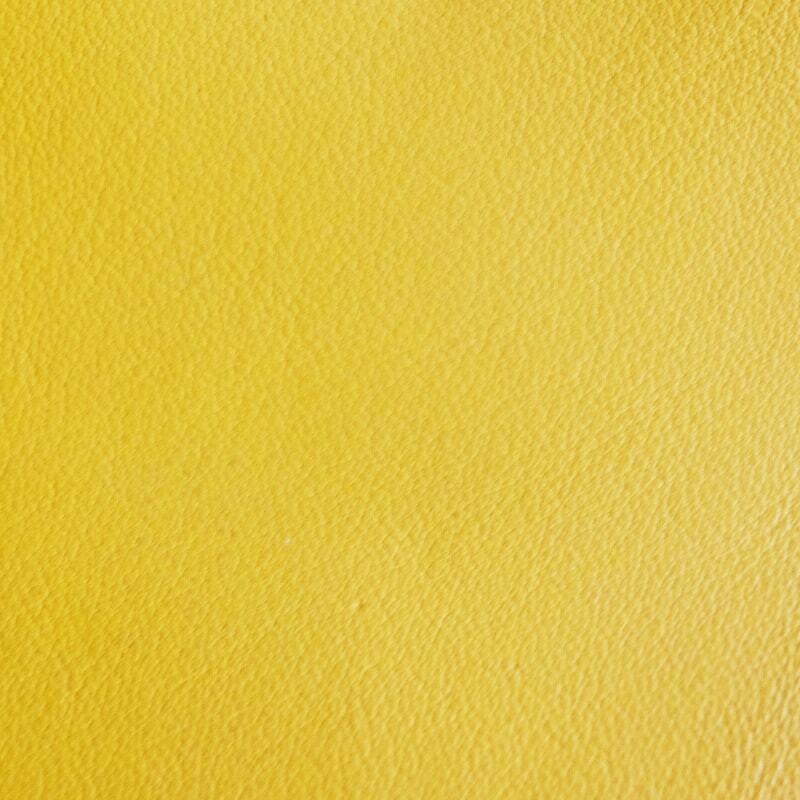 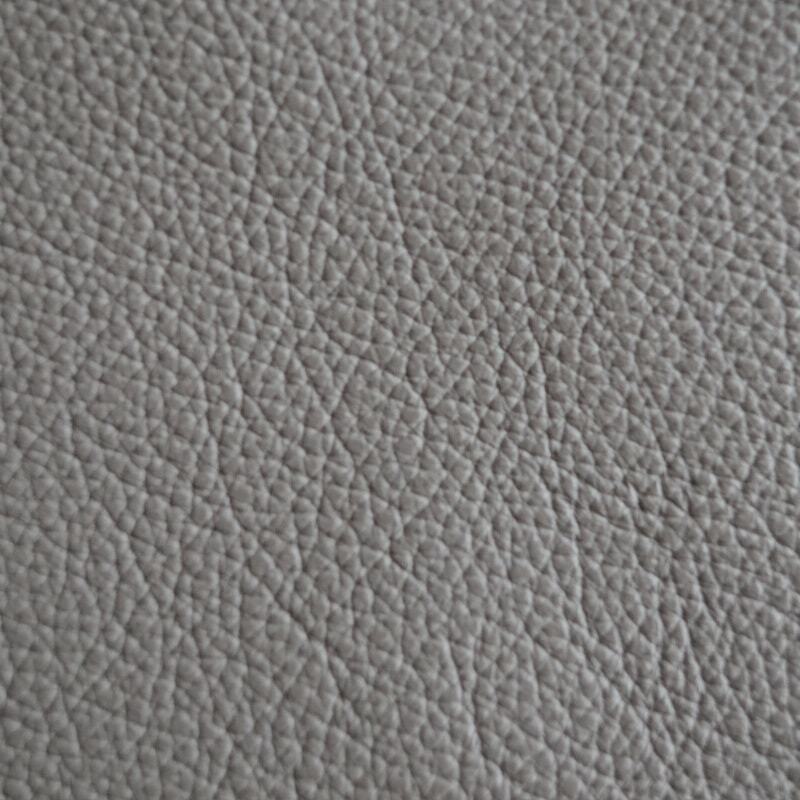 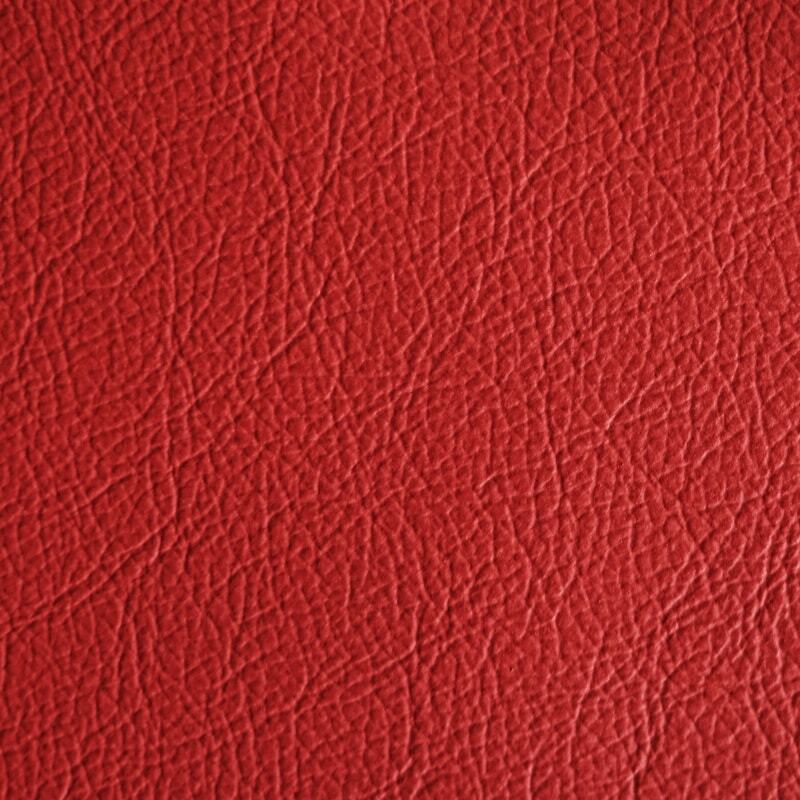 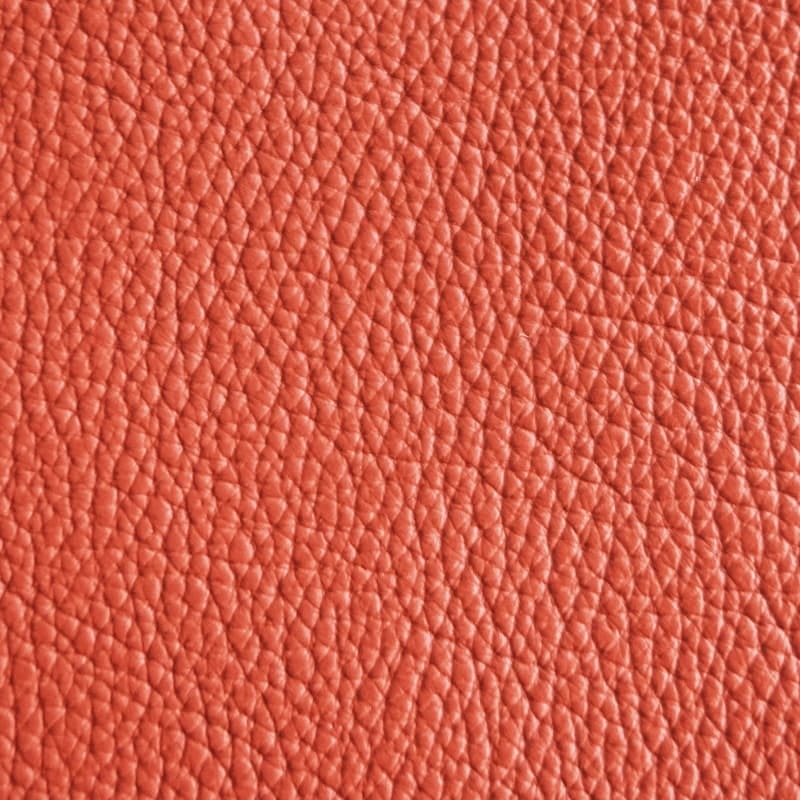 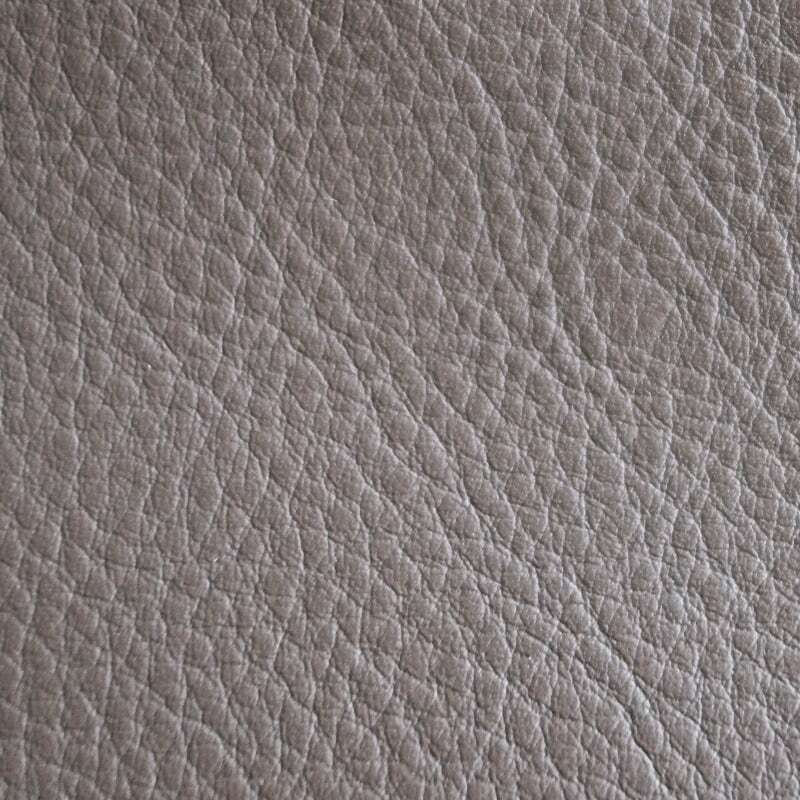 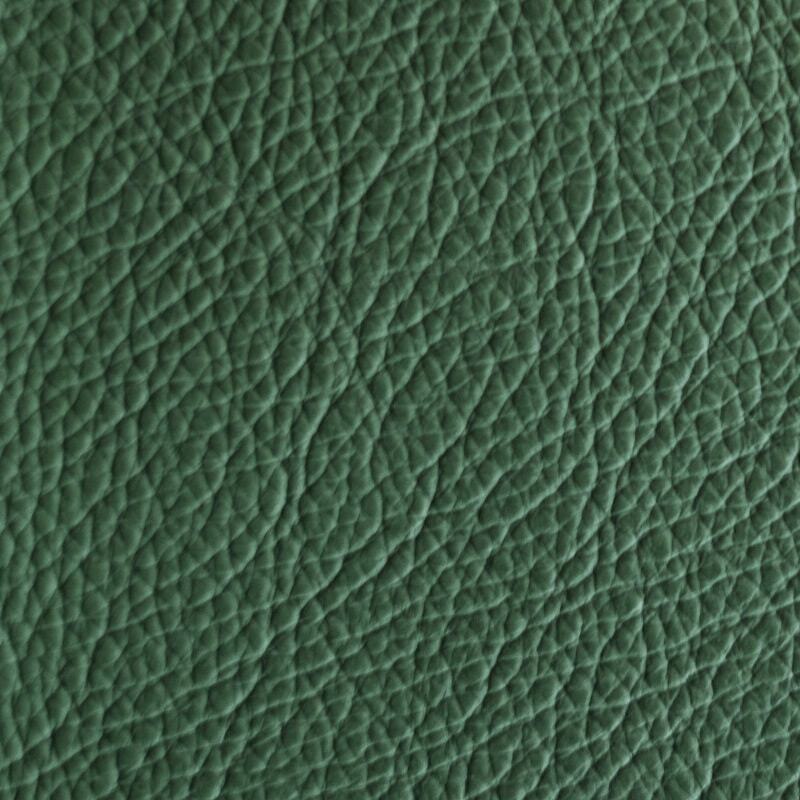 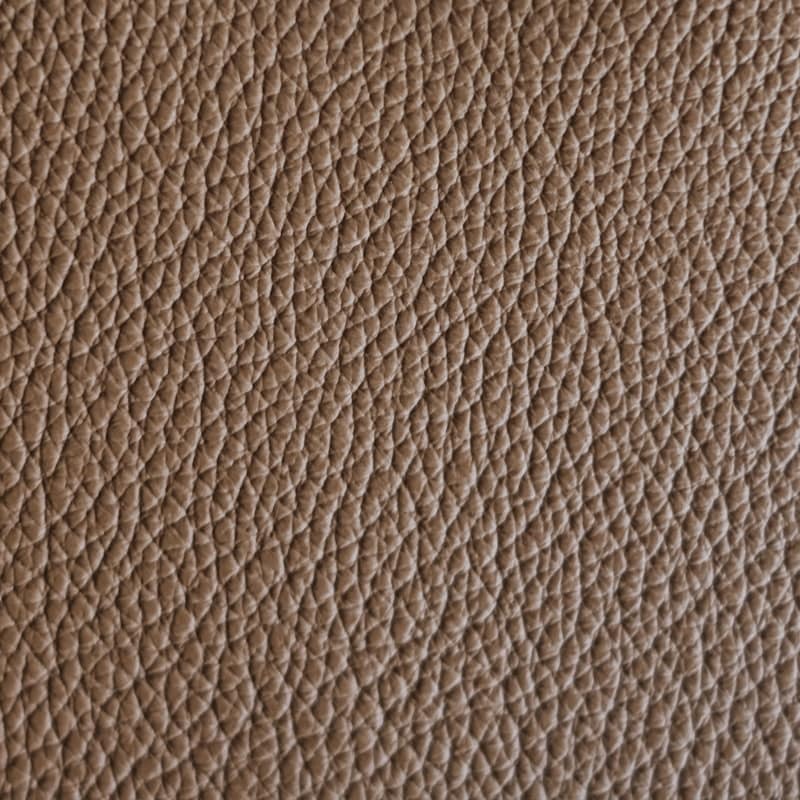 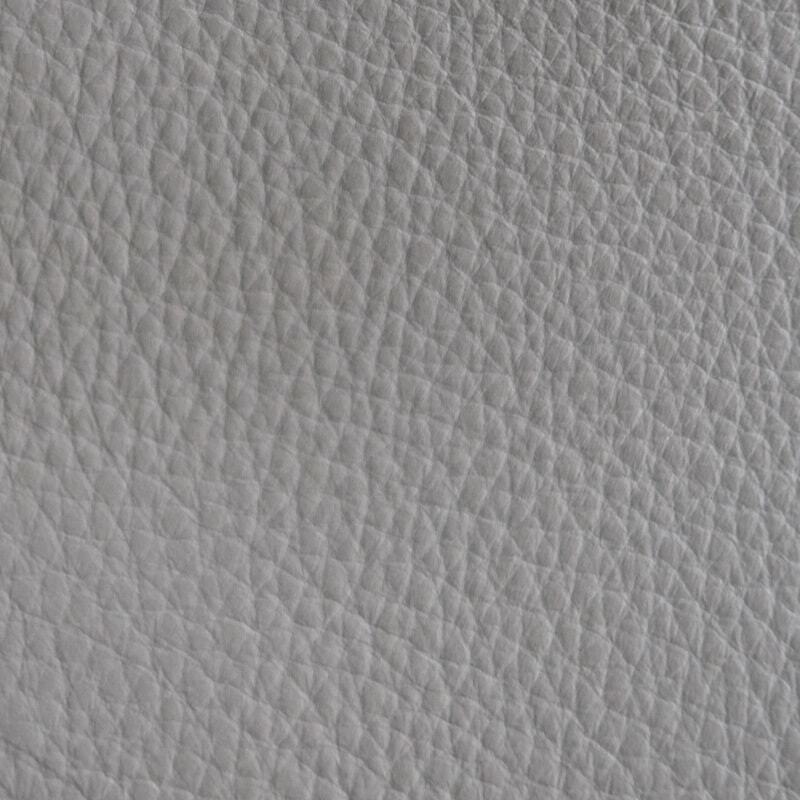 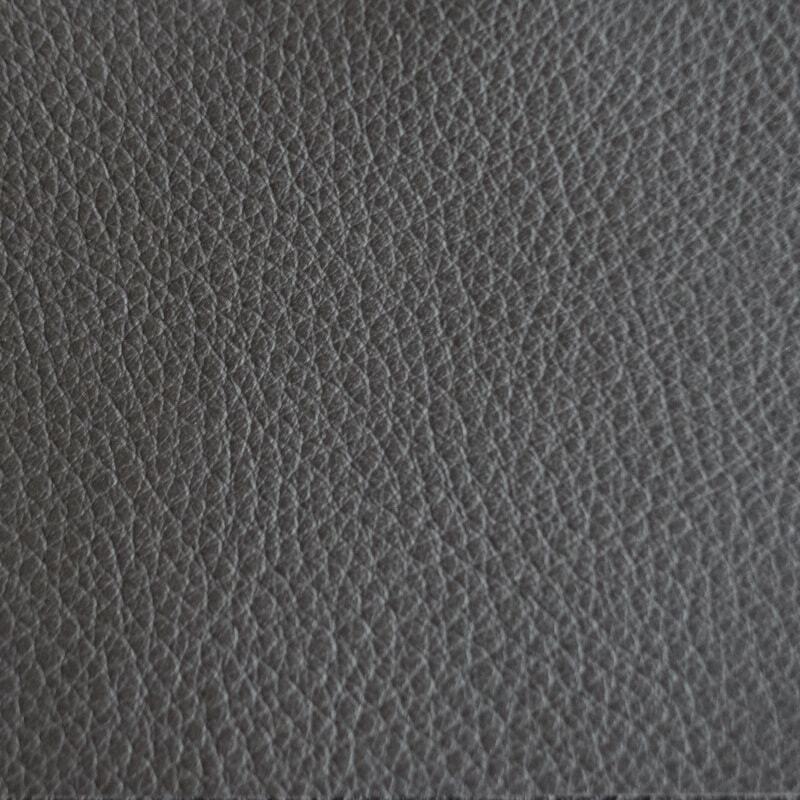 Leather, being the second material in this design, takes to a certain extend the form of the user, which will benefit the comfort. 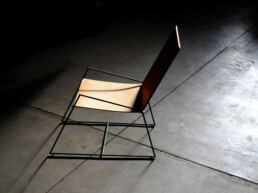 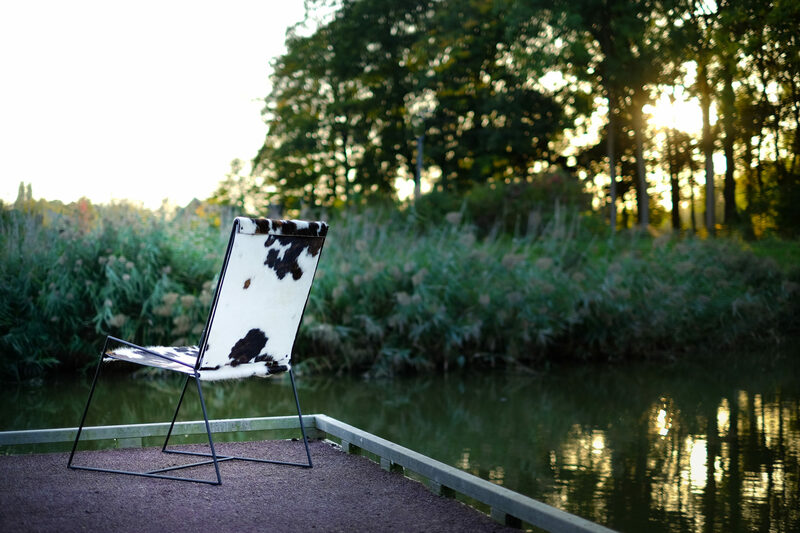 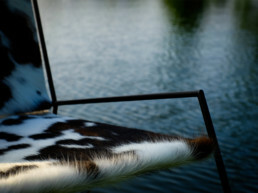 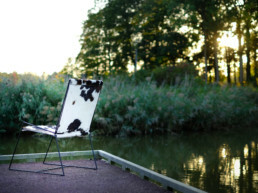 The design of the chair keeps the happy mean between a sitting chair and a relaxing chair. 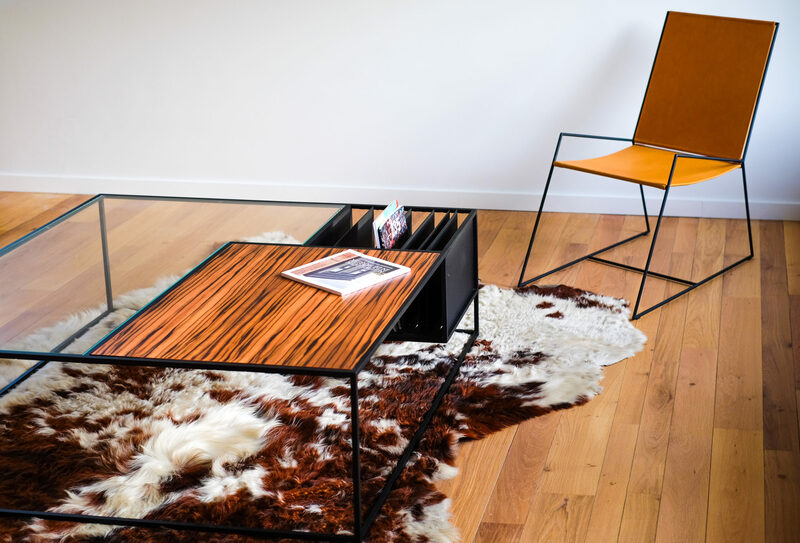 Together with the aperitif table (TBL16), it should be placed in a quiet and peaceful room in the house in order to show to full advantage. 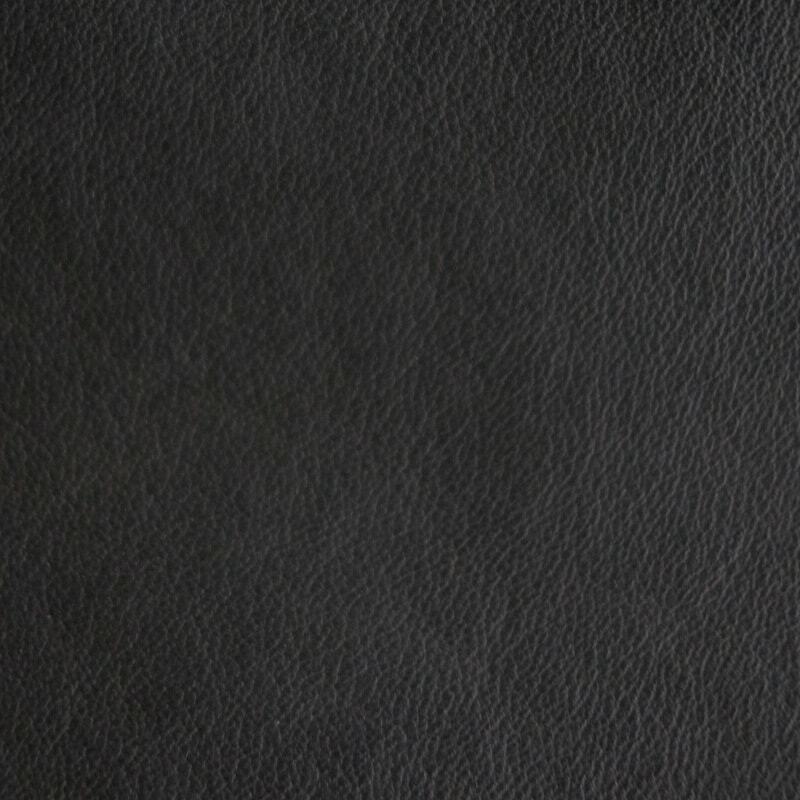 For price requests or additional information, please fill in the contact form and mention CHR15 in your message.